It's almost December so we are counting down towards the holidays. Decorating the house and making christmascards. For today another christmascard to share. I wanted to make a christmascard and using some stamps that weren't supposed to be christmasstamps. So I used the whimsical wheels stampset. And combined it with some christmasstamps. I first created a background for my card by stamping the stars from the smiling snowflakes stampset in versamark watermark ink and gold heat emboss them. I sponged the background with several distress ink colors. 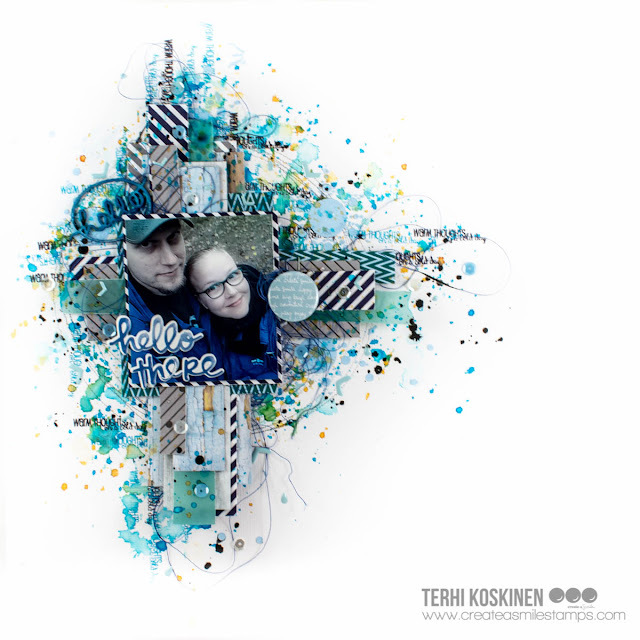 Now I stamped the image from the whimsical wheels and placed some presents with the stampset from the snow dance kit. Copic colored and fuzzy cut the train. 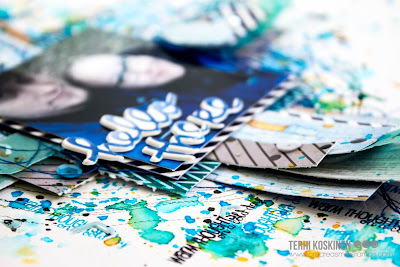 I created a snowhill by tearing some white cardstock and ahered the whole to the card. 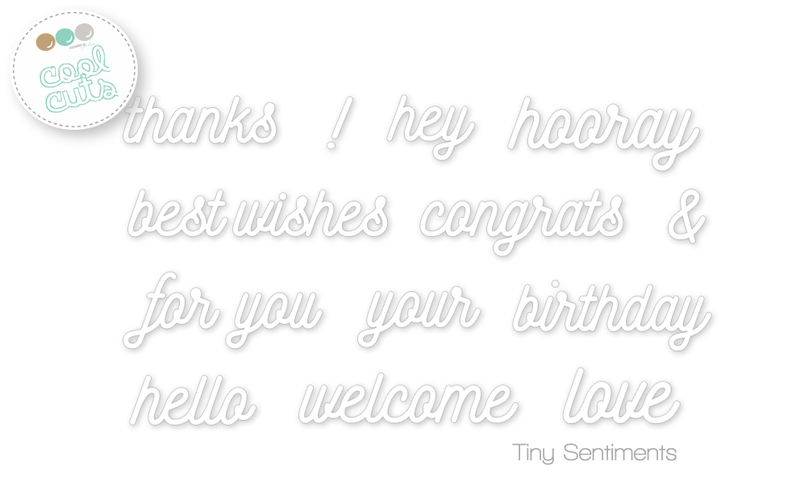 Made some shadows with a copic marker, stamped the sentiment and rounded the corners of the card. Ofcourse I had to give it some extra shine with a wink of stella glitterpen. Smiling snowflakes and whimsical wheels. There is a sale on some to be retired stampsets and when they are gone they are gone so you better hurry. Maybe an idea for a christmaspresent? For today's card I used two of them. Hey everyone! It's almost December! This means, Christmas is getting closer and closer. So of course, I have to share a christmas card with and hopefully you'll have some ideas to make your own version. Firstly, I started by stamping the big Winter sentiment on the paper. With this, I can die cut around the sentiment. I used the smallest oval from the die set. I made sure that I cut it off the page to create some interesting details and dimensions. I traced the cuts on the panel so that I know where I should colour. I just used some copic markers to do it. You can do it with any medium you like. To finish the card, I die cut some sentiments with gold paper and the best part for me is, I took apart the huge snowflake from the Snow Dance kit and stick them in the oval "windows". 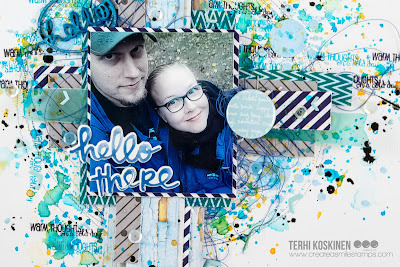 Saturday Scraps Scenes with Terhi - Hello There! Hello everyone, it's Terhi here with another Create A Smile scrapbook layout. 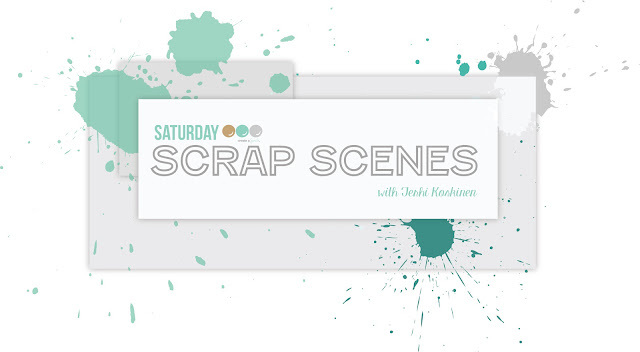 It's early Sunday morning, but let's pretend it's still Saturday and lots of time to craft! 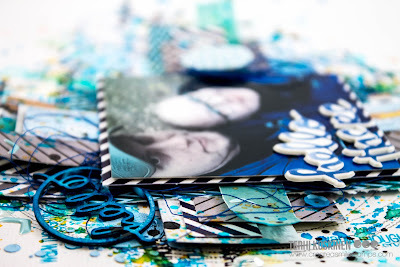 My layout today is made with papers from the Snow Dance Kit as I saw some really well matching dark colors - before choosing papers I already had in mind what picture to scrap. That's me and my husband going to fish and we are wearing exactly same looking shell suits. For you it might look boring and meaningless but for us it was a huge step to world of long time married couples. We have always made jokes about how we would never ever wear same looking shell suits because it looks so ridiculous. And yet, here we are now and still happy. To get a lot of layers and textures for your layout, I would suggest to collect all kind of matching this to your worktable. I have a box full of Create A Smile goodies, and when starting to do a layout I open the box and find all matching things next to it. That way I have everything ready and my layout will be layered perfectly. Of course, it depends about how you want it to look, but for me the layers and balance is all. We are having another release soon - stay tuned and have a great day! Hey stampers, with Christmas just a few weeks away I have some gift boxes for you today! Gift boxes are a cute way to give away gift cards. So I wanted to make some to be prepared for Christmas. When I make gift boxes, I always make a few at a time. I do the die cutting, stamping, coloring and assembling all in one step - it takes way less time. Use a die cut to put the image on. It is easier to create a focal point this way! 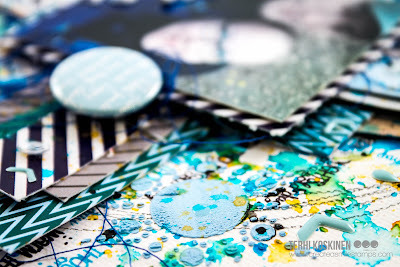 Choose the patterned paper for your gift bag first and then the colors for the image - in this way it is easy to match the colors. 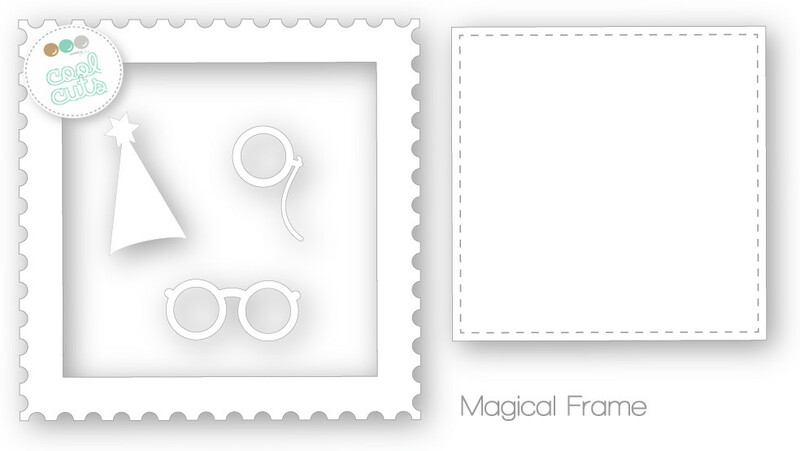 Some of the cute stamps from Create a Smile won't be restocked! They are on sale right now - go and grab them, it will be your last chance! 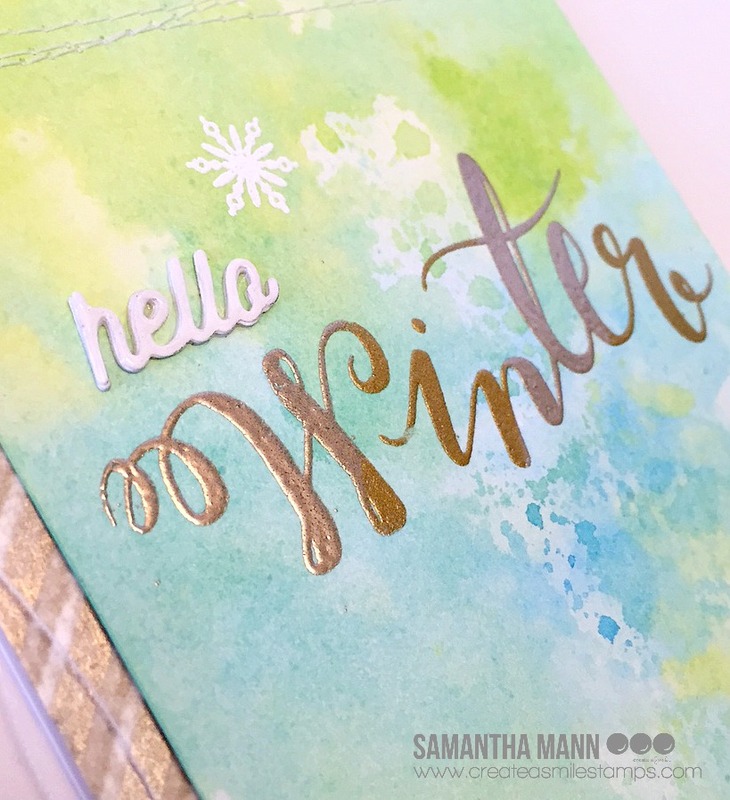 See that two-toned heat embossing on the scripty Winter word? I saw this YouTube video by ZrobySama a while ago, and I've been dying to try out the technique myself!! - I smooshed my card front into the watercolor and set aside to dry! - I repeated this process, just slightly moving the paper about an inch or so, at the same angle, until the entire word was covered! 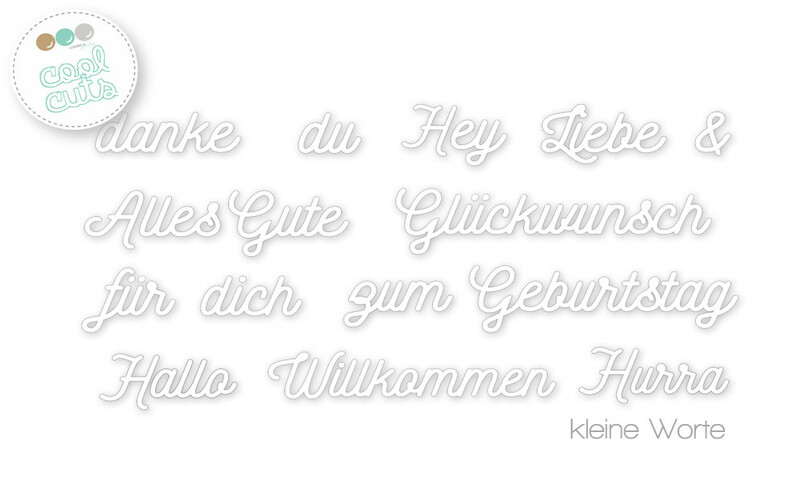 - after everything was heat set, I attached the "hello" and added some machine stitching! 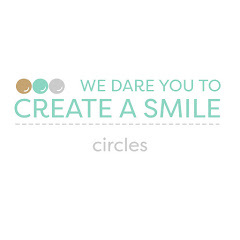 We love to see what you make with Create a Smile products! 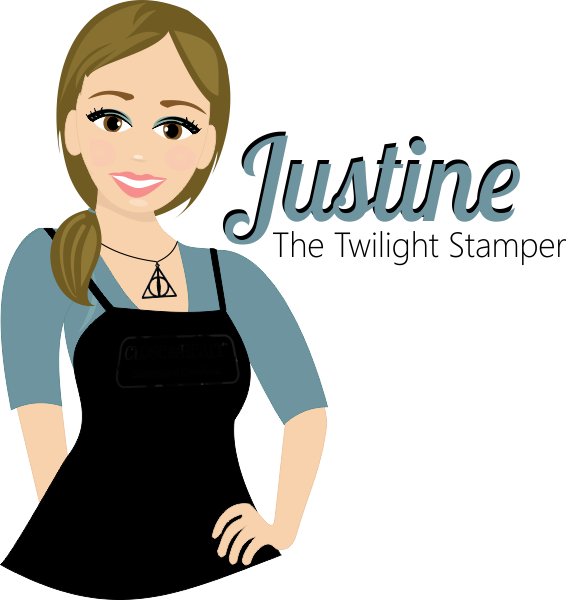 Be sure to link up your projects to the link up on the side bar here! 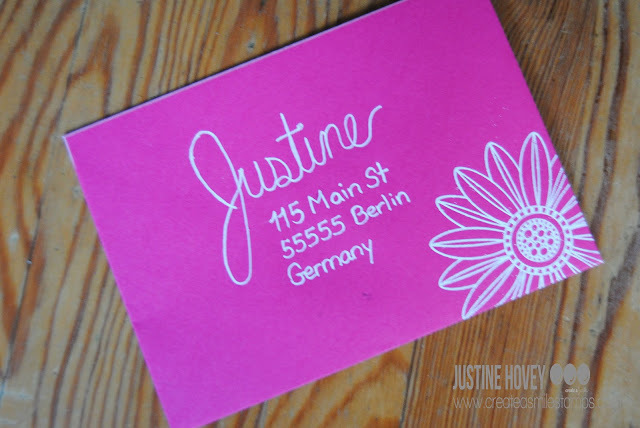 Creating Envelopes as Beautiful as Your Cards! 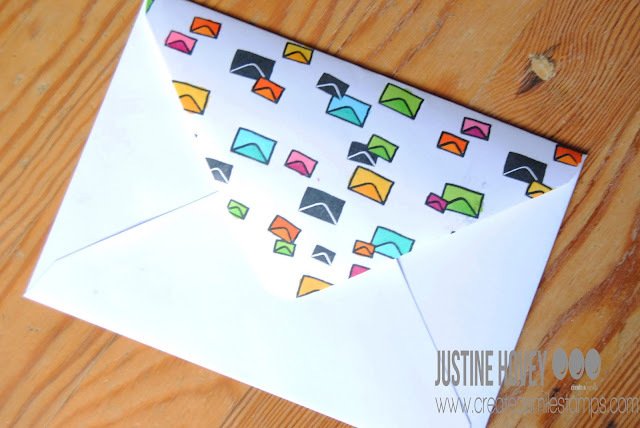 Justine here again sharing three different ways to decorate your envelopes in a video tutorial. Personally, I generally used to throw my beautiful cards into envelopes, scratch away the address and then send it on its way. But then I thought, why are my envelopes not as pretty as my letters? How much more fun would it be to receive a card like this instead of a plain envelope! It doesn't take long and the results are so fun! Colourful envelopes do the work for you! 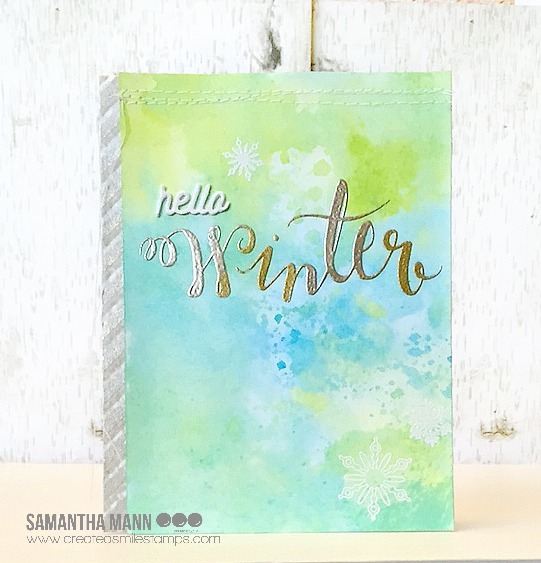 But how about adding some embossing to your envie to make it even more personal! For the full supply list, visit my blog! 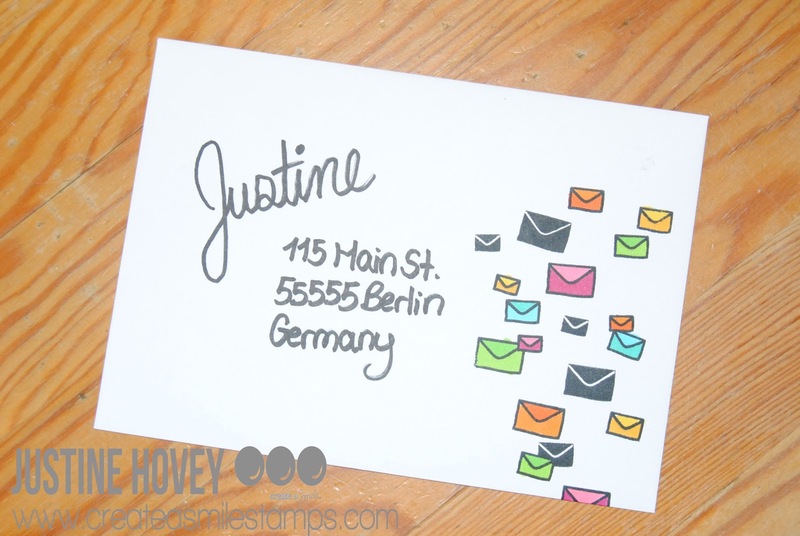 Don't forget to slip some scrap paper in the envelope just in case your markers bleed through! 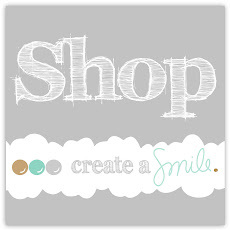 Don't forget to check out the November release over at the Create a Smile store!